Released just in time for the Halloween season, Inmates is a psychological horror that takes us deep within the mind of a man lost within a prison of his own making. The game is a horror-themed adventure with puzzles that need to be solved during your quest to uncover the truth behind the prison you find yourself confined within. 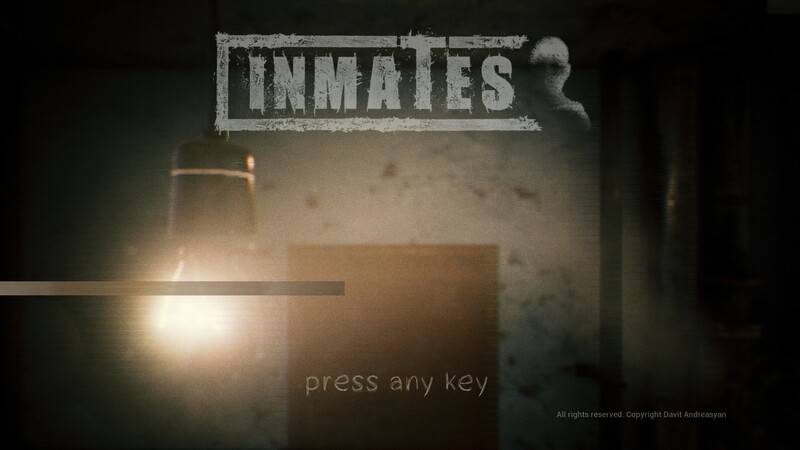 The game begins when the protagonist, Johnathan, wakes up in a dark, disgusting-looking prison with no clue how he got there. Everything seems strange and yet somehow familiar to him. 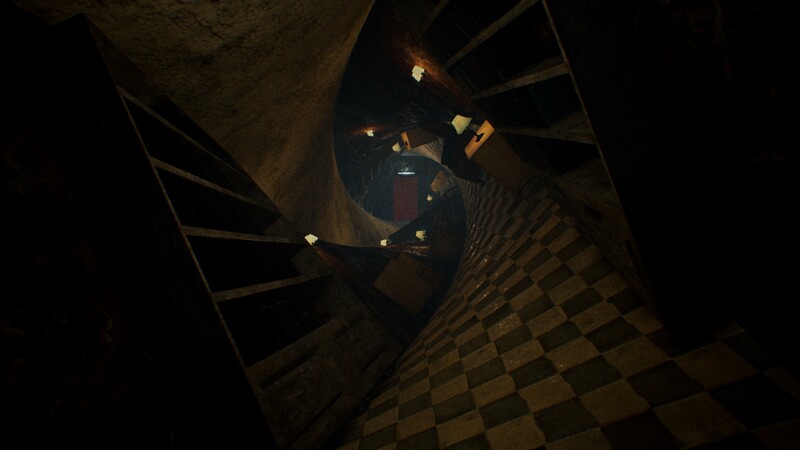 As the player takes control of him and begins to explore this strange place, they start to discover that not only is what they see not just a simple nightmare, but that they’re not alone within these dark walls. While the game does give you some sense of freedom as you explore, ultimately you’ll find that the game is fairly linear and that its goals are generally quite clear. That’s not to say that you aren’t encouraged to explore your surroundings, but rather that you’re unlikely to ever truly get lost. 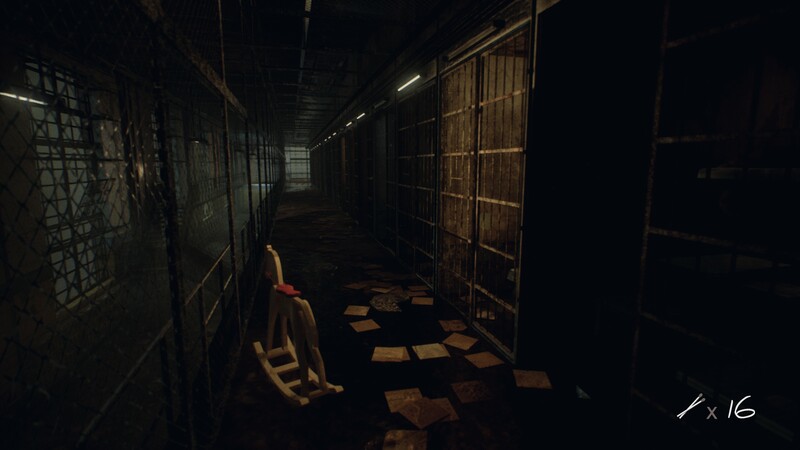 In the main prison area, for example, it’s clear pretty early on that you’ll need to push onward and find your way to the medical area located downstairs. As you walk down the corridor, though, you’ll pass numerous prison cells, most of which are unlocked and contain letters, books, notes or drawings scribbled on the walls, and matches that will help you see in very dark places. You’ll also come across several other prisoners who all seem to suffer from a strange phenomenon that makes their heads shake in a fast, erratic manner. While you certainly don’t have to enter all of the cells in the prison, if you want to unlock all of the Steam achievements you’ll probably want to do so. A couple of the cells are “traps;” once you enter them, the door locks behind you and you’re forced to solve a simple puzzle before moving on. Also, at a couple spots during the adventure you’ll find yourself deep within Johnathan’s subconscious, where you’ll have to solve a more complex puzzle before moving on with your journey. However, it’s interesting to note that these puzzles are not required to be completed for you to finish the game. If you find them too difficult, quitting the game and then loading your save will put you at the next checkpoint after the puzzle sequence. Unfortunately, though, this means that you didn’t complete the puzzle and won’t get the associated achievement. One issue that you may encounter with this mechanic is that if you need to quit the game during one of these sequences (by necessity, not because you find the puzzle too hard), the game will skip the puzzle for you and you won’t be able to return to it without loading a previous chapter of the game. This is unfortunate if you’re the type who wants to successfully complete everything and not get past a challenge because of a minor technicality. Overall, the game can be completed in around three hours at a casual pace, and while it tells a compelling story that generally leaves you wanting to push forward, the game is certainly not without its faults. Inmates is a fairly buggy game, though to its credit none of the bugs completely breaks the game or ruins the experience. There are a couple spots where interacting with a critical object requires incredibly exact precision, such as activating the radio in the medical office. Oddly, in this specific case, the switch to activate the radio can’t be clicked on from the front, but instead you need to walk around to the radio’s side to activate it. Also, the game has a very annoying habit of letting you know that it needs you to interact with a certain object. When this is the case, Johnathan will suddenly turn to face whatever the item in question is and make a remark like “That looks interesting” or “Looks pretty neat.” While this could be seen as a good thing that keeps you from missing important items, it also can get you stuck in a room and unable to leave it unless you realize what you’re missing. Sometimes, what you’re missing is essentially a false positive. For instance, I had an issue in one of the trap cells after completing the puzzle where, even after the cell door opened and I tried to leave, he would turn around and say, “That looks interesting.” Every time I tried to leave he repeated that, despite the fact that I’d already solved the puzzle. After a couple minutes fumbling around in the cell, I finally realized that after I’d completed the puzzle, a box of matches appeared in the room. Apparently, the game wasn’t going to let me leave the cell unless I picked the matches up first! Another issue I had with the game involves its overall level of lighting. Depending on your display, it’s possible that you’ll either find Inmates to be way too dark or way too bright. On my screen, while I felt like the game’s lighting levels were decent (you could see in pretty much all the locations, though usually the corners and other peripheral spaces were quite dark), I never really found much of a need for the matches that I had other than a couple dark rooms that I wanted to see in. Of course, the game does have settings to raise or lower the brightness as you desire, so it’s not a huge issue. Still, it’s something that a few people will likely notice pretty quickly. Ultimately, while I felt like the game did a good job telling its story, I did find the ending to be a bit bleak and not fully within my tastes. Of course, this is simply a matter of personal preference and nothing more. However, I will admit that I would have liked for there to have been a way to meet certain criteria and therefore get a better ending than the default one. While Inmates is a game that shows some promise, it’s ultimately harmed by the various bugs that plague it as well as the incredibly slow walking pace the player is forced to endure. Its linear design and pacing will also be a bit off-putting to those who prefer a much more open style of exploration in their games. For $9.99 at full price, I’d only cautiously recommend picking up Inmates. It’s one of those titles that you may enjoy, but you’ll want to temper your expectations a bit. However, if you find the game on sale or as part of a bundle that contains some other potentially fun horror games, then you may want to consider picking it up.